£5 for 18pk Cushelle. That's 27.8p per bog roll. Searched but couldn't see this posted. 16 pack in my local. 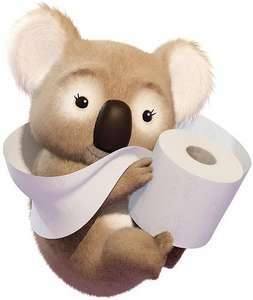 Some bog standard toilet roll deals out there but this one is loo-king good. Just come home with a pack of these. Very strange, mine only had 16 in it? Good price just a shame I dislike Morrisons so much!